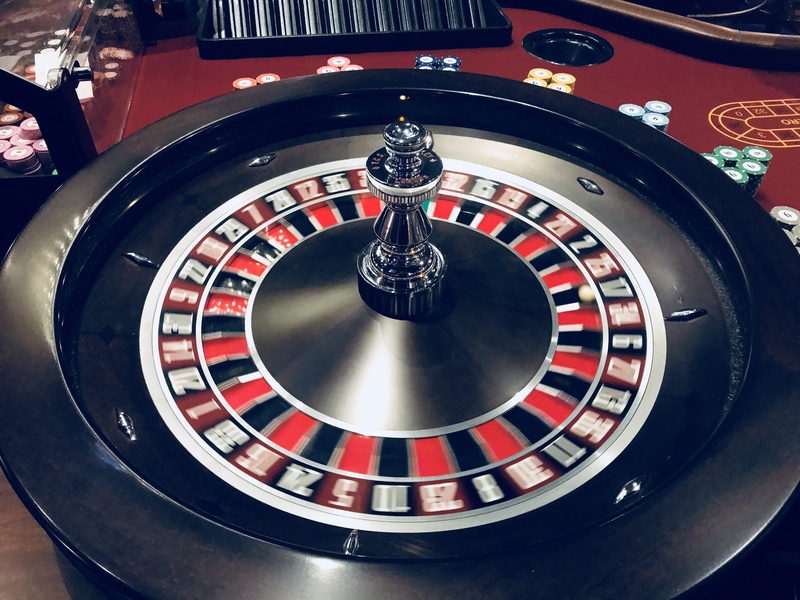 The roulette wheel – I actually had a go at setting the ball off on one of the spins! After a long day at work, cocktails, dinner and a lesson on how to play roulette and black jack was just what I needed to switch my day up. I met up with some of the lovely ladies from the Southampton Blogger’s group and as soon as we walked in the door we were offered a warm welcome and a cocktail. What a greeting! The range of cocktails and different spirits is impressive. Boodles and Edinburgh are just a few of the specialist gins that line the shelves along with a range of fruity Ciroc vodkas. 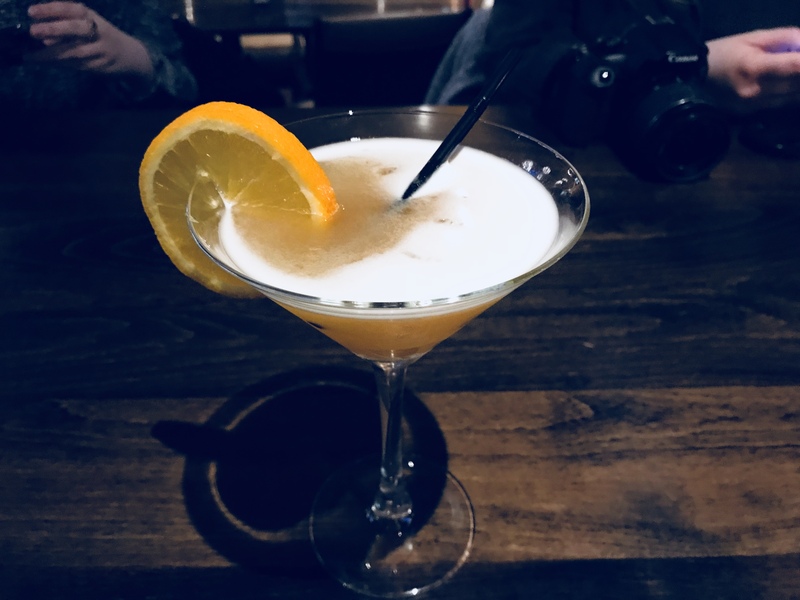 I went for a passionfruit martini which was gorgeous. There were so many cocktails I wanted to try though! A passionfruit martini at Grosvenor Casino! 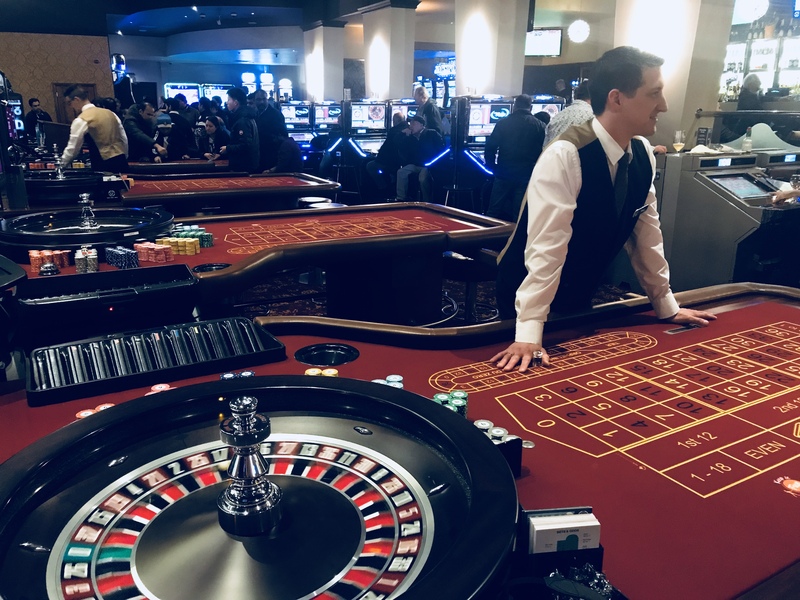 After we were shown to our seats in the restaurant to try the new menu – a casino with a restaurant? I’ve only ever seen this in Vegas! This was a real surprise. When they said about having some food, I really thought it was going to be a bar menu or some snacks. Instead we were shown to the restaurant at the back of the casino! There were lots of starters to choose from, so I went for one of my favourites, which is salt and pepper calamari. 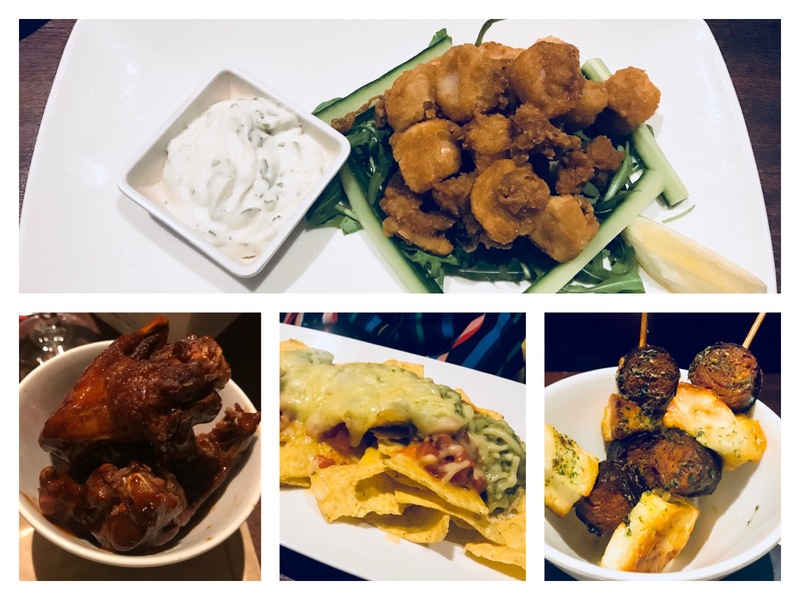 However, there really was something for everyone with chicken, ribs, seafood, halloumi and a range of small plates for sharing. The calamari was crispy which worked well with the garlic and lemon mayonnaise and rocket and cucumber salad. The portion was quite big, I think if you were having this as part of a three course meal you could easily share this. For dinner I decided to go for the ribeye steak. The menu was huge though and had everything from sea bass to burgers and salads on it. When I go to a new restaurant, and I am not sure what to order, a steak is what I’ll always go for. It’s such a good indicator of how good the food and chef is. I went for the bourbon glaze, not for the steak but to dip my chips in! Personally I don’t think a good steak needs sauce, and this one certainly didn’t need the glaze I picked. It was so tender and tasty, my knife cut through it like butter. Oh gosh, in that last sentence you can hear my Mother! No, I’m not a restaurant critic but, my Mum did used to be a chef, run her own restaurant and I grew up in those surroundings. I also, for a very short time was a restaurant manager, it was not my idea of fun but, I did learn a lot. It gives you a lot of insight when you go and eat out to service and food standards. You know how things should be done and how they shouldn’t. A good steak doesn’t need sauce but, if you like sauce, have the sauce. 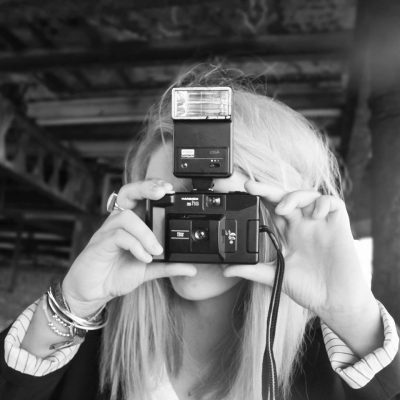 Do what makes you happy. Eat things that will make you smile and make your tummy full! Food is food and you can do what you like! I was really surprised that that standard of food was so good at Grosvenor. The steak was really very good. I’m not sure what I expected but, I didn’t think I’d get such a great meal from a casino. It really changed my perspective. Waffles and the chocolate roulade! 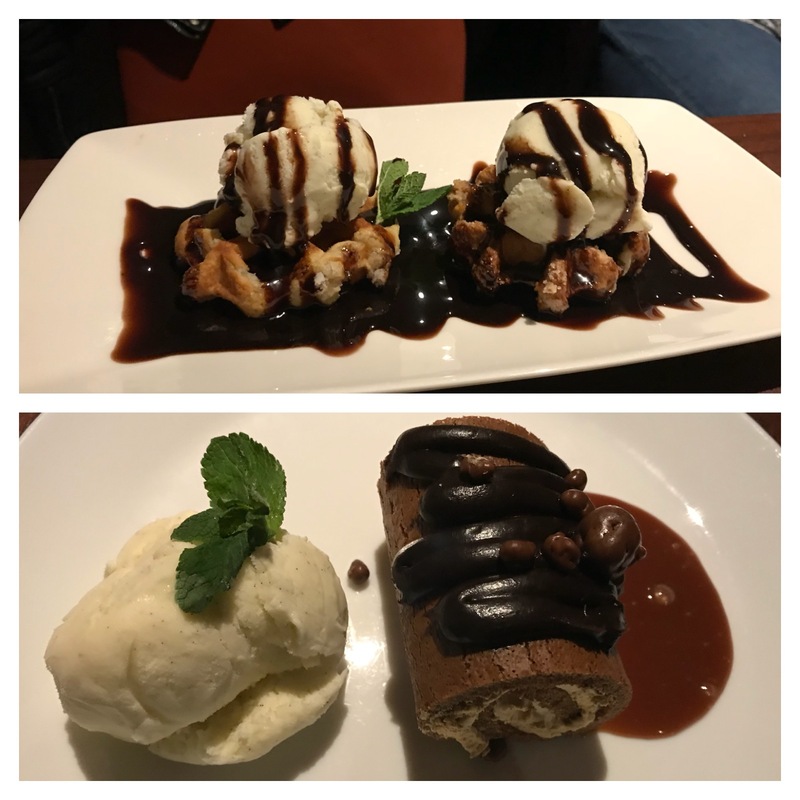 Having a starter and main course meant that I had no room for pudding, so I cheekily took some pictures of the ones the girls had to show you! 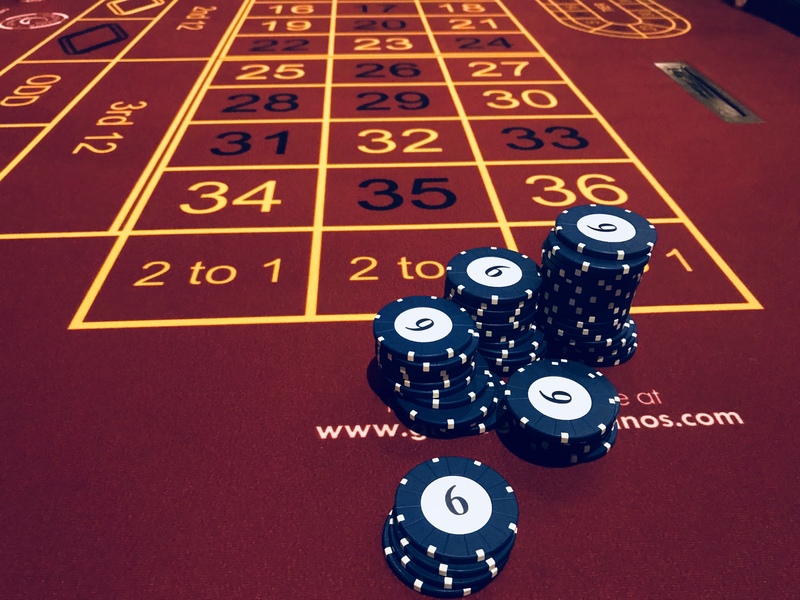 With a full tummy it was time to hit the tables and get a lesson in roulette and black jack. The lovely Paul took great care of us! Our host, Paul, ran us through the rules, how to place a bet and coached us through our first few rounds of roulette. He was really patient and was great at simplifying the more complicated terminology and betting rules. I should also say that casinos don’t let you have phones when you’re playing at the tables. We were on a practice table and away from other active players. So here’s a top tip if you’ve never been to a casino, don’t expect to have your phones out taking pictures like we were! Roulette was so much fun. I forgot how much I liked this game, it was really nice to go with the girls and have a bit of giggle too. Grace, from Beauty Brown blog, was so lucky at this game. We know who to go with when it’s with real money next time! Paul let me try and flick the ball for one of the spins and I couldn’t believe how hard it was to make the ball go round. This is a real skill, you have to click the ball between your fingers while making sure it goes in the right direction. It wasn’t easy but on my third go I managed to get the ball on a very slow spin around the wheel. Fortune must have been on my side as I won a lot of chips off my own spin! This was our last round of black jack, so I put all my chips in! Next up was black jack, again Paul ran us through the game and how to bet while taking us through some practice rounds. I’d never played black jack at a casino before, only at home, so once we’d learnt the basics we could start to play properly. 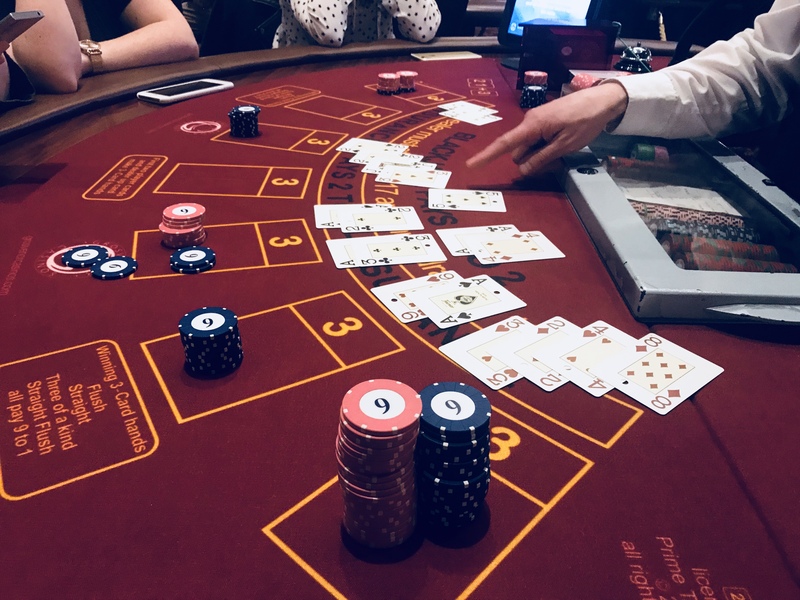 I didn’t do too badly at both games to be honest, I’ve not played in a very long time so it was really handy to have a refresher to remind me of all the side bets you can make, especially when it came to black jack. Cocktails, dinner and playing roulette and black jack was a really fun evening out. Once we’d learnt the ropes we agreed we’d go back to have a proper go and a few more of those cocktails! 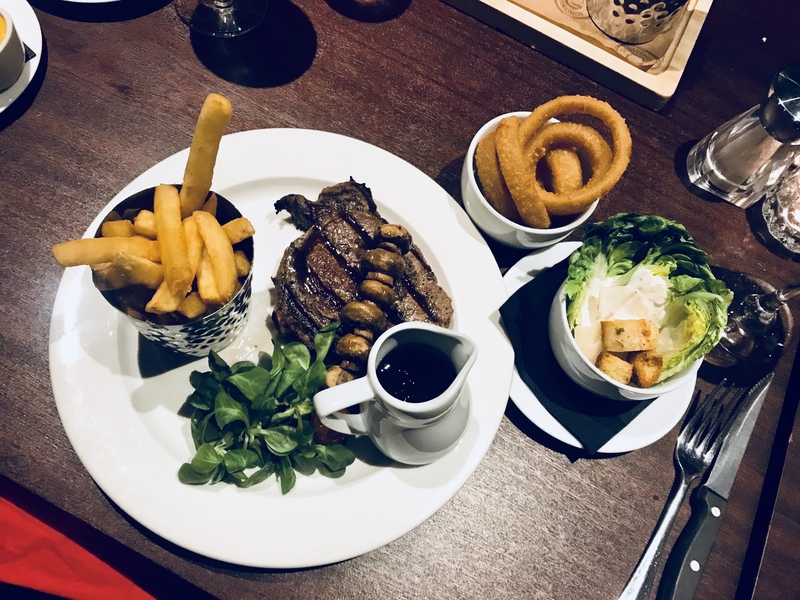 A huge thank you to Grosvenor Casinos for a really fun evening, it really changed my perception of the casino – and that steak! Delicious! As a responsible grown up I have to address the fact that sometimes people let their habits get out of control. If you feel like this could be you then visit BeGambleAware.org. When the fun stops, stop – visit BeGambleAware.org to stay in control of your gambling. 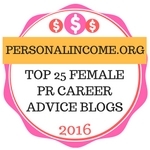 *Gifted PR experience – but all opinions are my own, otherwise what’s the point?! 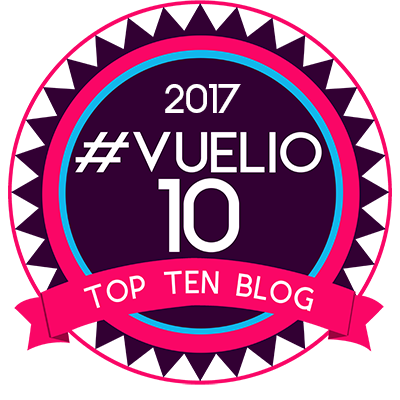 Another huge thanks to Alice and the Southampton Bloggers – you’ve worked so hard to create a wonderful community with fun events!